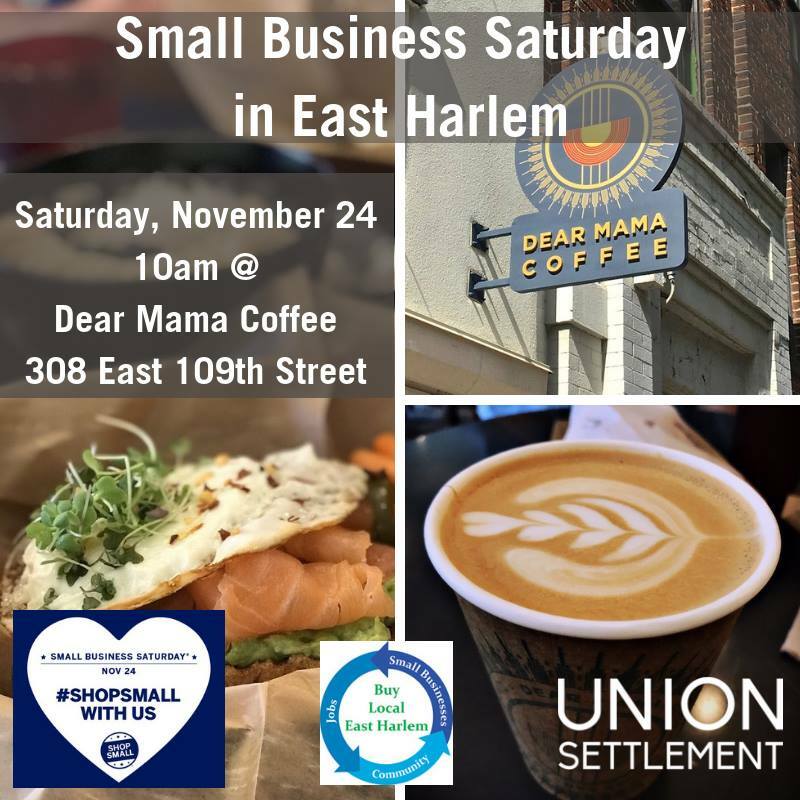 Kick-off your Small Business Saturday with #BuyLocalEastHarlem from 10am to 12:30pm at Dear Mama Coffee, 308 East 109th Street. Register to RSVP. Follow the Event on Facebook. 11am ~ Tour some of the East Harlem Businesses hosted by the actor and comedian Victor Cruz! Tour will end at La Marqueta, with live music and more vendors.